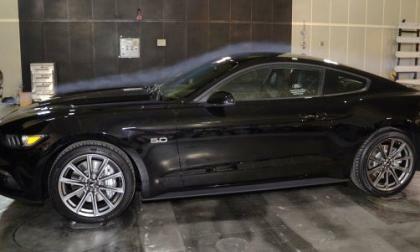 Ford Motor Company put more than twice the research and development time into the aerodynamics of the 2015 Ford Mustang and to show off the slippery form of the newest muscle car – Ford invited a select group of media to their wind tunnel facility for a closer look. The most fuel-stingy car in America isn’t a Prius, it’s a Mercedes? 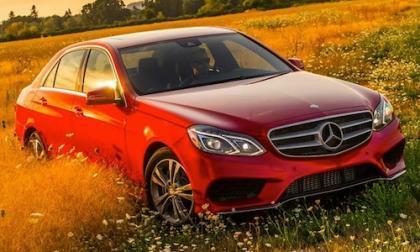 The 2014 Mercedes-Benz E250 BlueTEC is the most fuel-efficient car in America? According to Road & Track, it beats the Toyota Prius. Read more about The most fuel-stingy car in America isn’t a Prius, it’s a Mercedes? 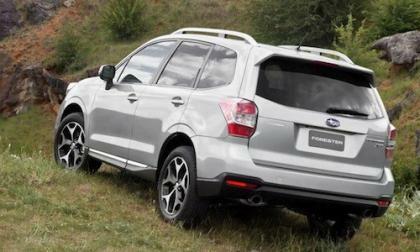 Subaru announces pricing on the new 2015 Forester and it gets a small price increase of $225, but gets many more standard features. 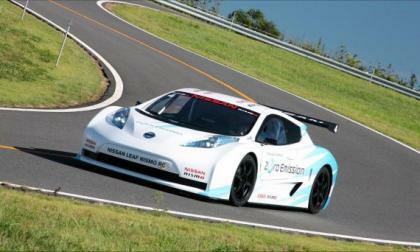 The Clipsal 500 is a huge event in Australian racing and Nissan plans to electrify its Nissan Time Attack on the street circuit. 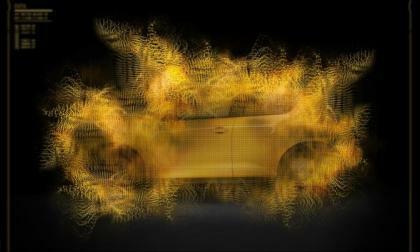 The new Nissan Juke has been teased prior to its official unveiling at the 2014 Geneva Motor Show. 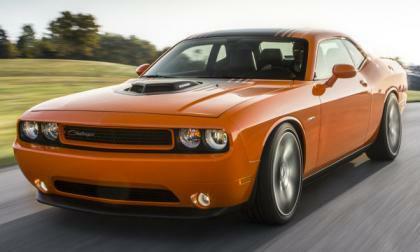 The new 2014 Dodge Challenger Shaker was made available for orders on January 7th and by January 10th all 2,000 units planned for production this year had been spoken for – and those vintage themed Mopar muscle cars are headed to dealerships around the country right now. 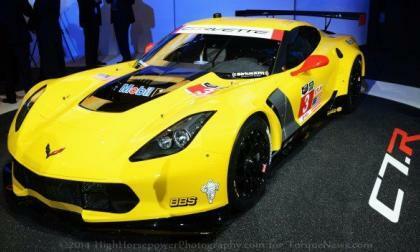 Corvette Racing confirmed recently that they will be sending a pair of Chevrolet Corvette Z06-based C7R race cars to the fabled 24 Hours of LeMans race in France for the 15th consecutive year – with the hopes of winning their 8th class victory over that 15 year span. Consumer Reports drove the 2014 Lexus IS 250AWD and panned it. 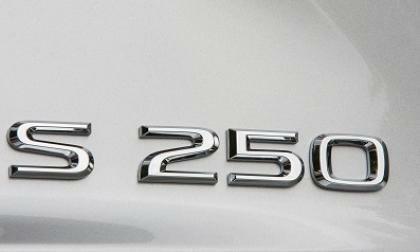 This is great news for Lexus. Here’s why. 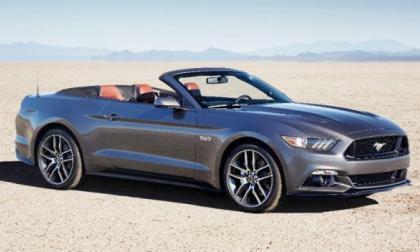 Ford Motor Company designed the 2015 Ford Mustang Convertible canvas top assembly to answer every consumer concern about the current drop top Mustang – with the most significant change being the top-down time being 50% faster than the current models. All Subaru vehicles except for BRZ use Subaru’s Symmetrical AWD, but the 2015 WRX STI gets a special system called Driver Controlled Center Differential (DCCD). 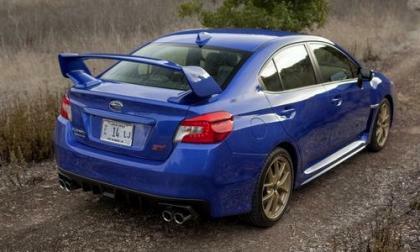 What’s so special about the 2015 WRX STI DCCD system? 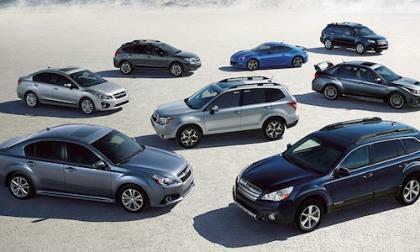 In KBB’s 10 best AWD and SUVs under $25,000 list, Subaru scores the 2014 Subaru Forester, XV Crosstrek, 2014 Impreza, 2014 Legacy and 2014 Outback. 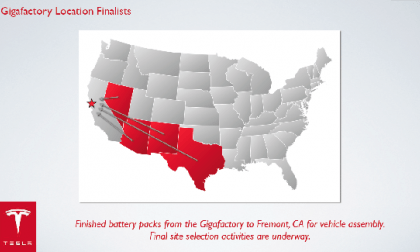 In a fun twist, Tesla might build a massive factory in a state that prohibits it from selling its cars. Despite a long waiting list and the noted growing popularity of the Fit EV, as promised, Honda will meet production quotas by fall 2014 and halt production. The EV fans are not happy. Let’s talk about it. 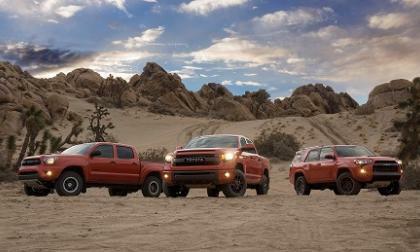 For 2015 Toyota is making it even more fun to get your Toyota Tundra or Tacoma pickup dirty with the new Pro Series TRD package. 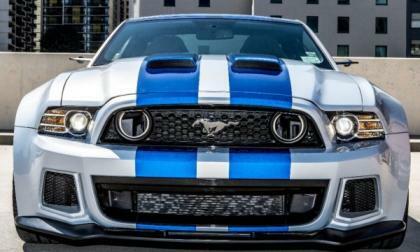 The 2015 Ford Mustang will make its big screen debut in the upcoming action racing flick Need for Speed so it should come as no surprise that the newest – and most exciting – 2015 Mustang is themed after the fast paced movie starring Breaking Bad’s Aaron Paul. 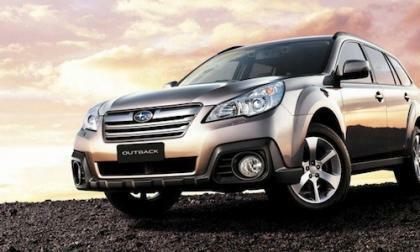 Consumer Reports asked their Facebook followers to pick the best car on the market in the U.S. today, and they chose the 2014 Subaru Outback. 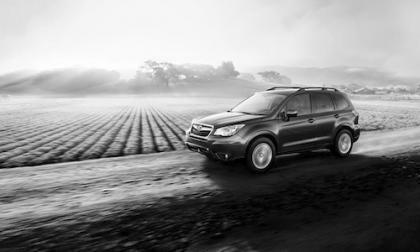 The all-new 2014 Subaru Forester and 2014 Subaru Impreza captured two spots on Consumer Reports “Best Bet” list. What makes them best bets for buyers? 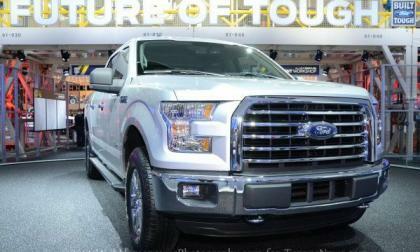 Since Ford Motor Company introduced the redesigned 2015 Ford F150 at the 2015 Detroit Auto Show with a heavy dose of aluminum body panels, the automaker has been stating that the next generation half ton pickup will be around 700 pounds lighter and depending on which models are 700lbs lighter we could see a 2015 F150 that weighs under 4,000 pounds – which would be an incredible milestone for the full size truck segment. 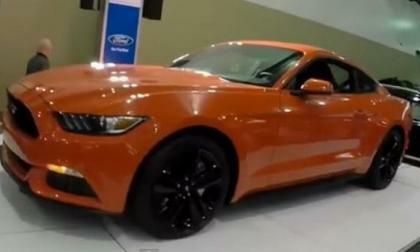 The 2015 Ford Mustang recently debuted at the 2014 Spokane Auto Show in Washington and one attendee took it upon himself to do a quick walk around video of the new S550 Mustang in Competition Orange – which looks as great as we expected. 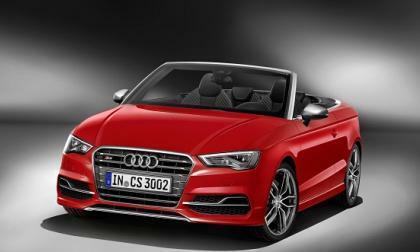 The small premium market in the US may have two new convertibles soon. 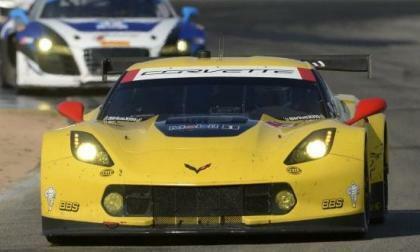 The new Chevrolet Corvette C7R race teams met up once again with the many Corvette Daytona Prototype teams this past weekend for the winter testing session for the 12 Hours of Sebring and while the Corvette DP teams continued to shine – the Z06-based Corvette C7R teams continued to struggle. 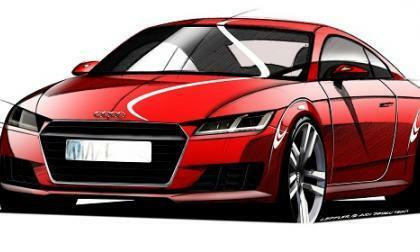 The third generation Audi TT will soon be revealed. Here’s what to expect. 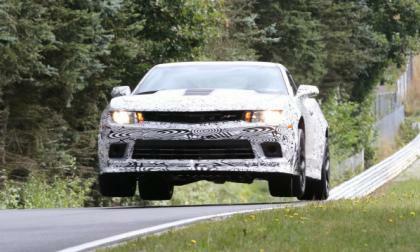 The 2014 Chevrolet Camaro Z28 is the best performing Camaro of all time so it should come as no big surprise that the new Z/28 actually has a feature called Flying Car Mode – an addition that helped the GM team to cut 5 seconds off of their Nürburgring lap time during testing of the newest Super Camaro. 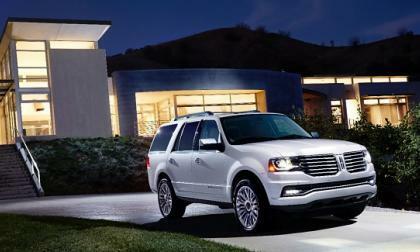 Ford’s flagship Lincoln brand launches modernized flagship vehicle. It may help the Lincoln become a little less "exclusive." 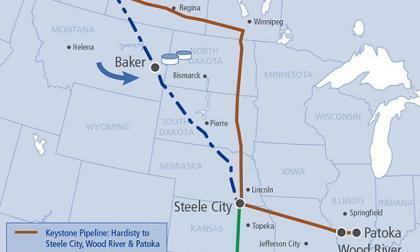 In order to watch the Fox News review of the Tesla Model S one must first see an advertisement for the Keystone XL Pipeline. 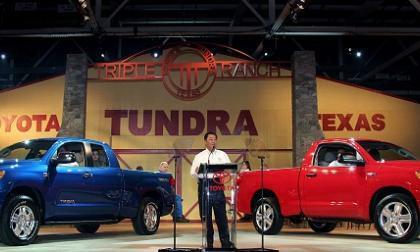 Toyota has been back and forth on a diesel truck. The new Ram’s welcome reception may move things along. 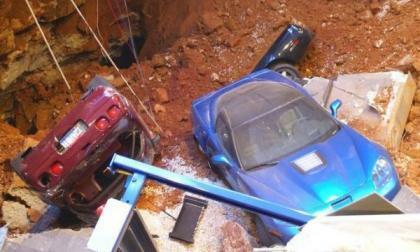 Since a massive sinkhole swallowed up 8 historic Chevrolet Corvettes at the National Corvette Museum, fans around the world have wondered just how badly damaged those rare American sports cars are and due to the popularity of that discussion – the museum will have these Corvettes on display in their damaged state for a short time before the cars are sent off for repairs. 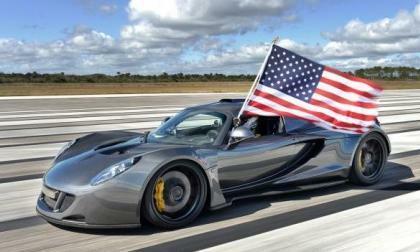 The incredible Hennessey Venom GT has once again set a top speed record with the help of the Corvette ZR1’s LS9 V8 – but even though the Venom GT turned in the highest top speed run of any street legal car ever, a set of restrictions prevent this recent record run from counting with the Guinness Book of World Records. 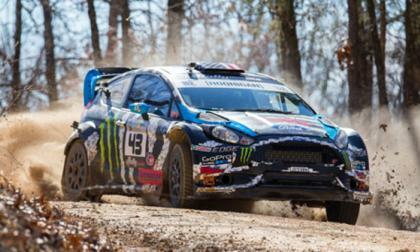 This past weekend marked the on-track debut of Ken Block’s 2014 Hoonigan Racing Ford Fiesta ST race car at Rally America’s 100 Acre Wood rally and with the help of co-driver Alex Gelsomino – Block claimed victory in the 100 Acre Wood rally race for the 7th time in 8 years. 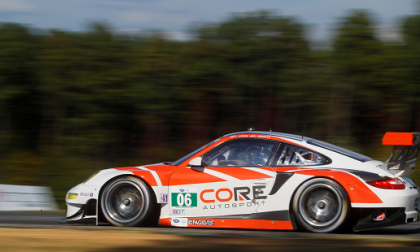 Porsche is telling customers not to drive their cars until inspected. Offers to pick the cars up.